Moments before the Totality is reached. 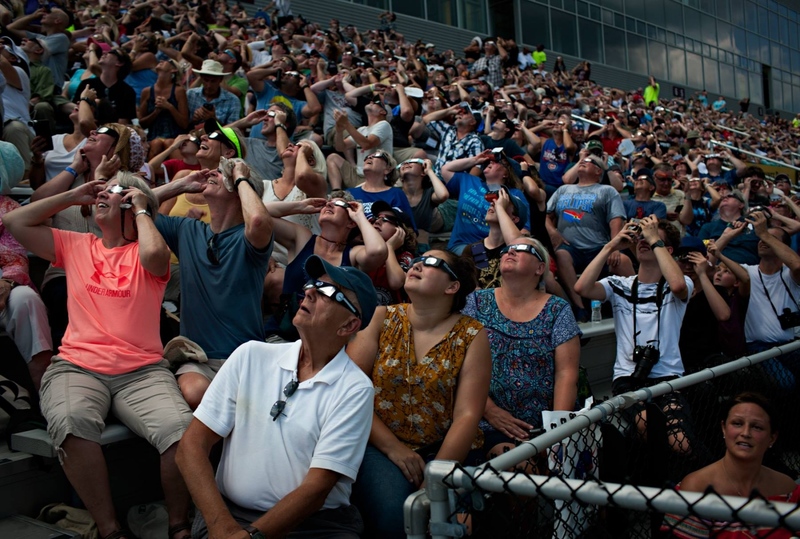 A crowed of about 14,000 gathered in the Saluki Stadium at the Southern Illinois University Campus in Carbondale, Illinois to view the Solar Eclipse. Carbondale is in the total solar eclipse path that stretched across the entire United States, reaching its point of greatest duration a few miles south of the City. This region in southern Illinois is not only in the path of the 2017 eclipse, but also the 2024 eclipse.